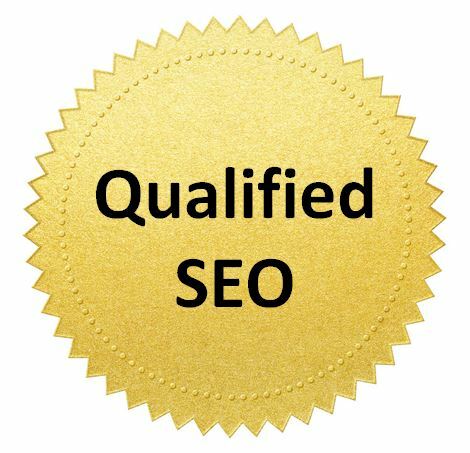 WTFSEO EXCLUSIVE: Google* has just offered up an alternative to disappointed SEO Experts who have been longing for the search engine giant to issue certifications to those desperately in need of thought leadership recognition. After first declaring that Google “has no plans” to develop an SEO certification course program, this latest move is seen as an olive branch to those frustrated gurus who feel that a signed piece of paper is essential to their business. 1) Attend at least one industry conference in the last two years. To demonstrate that you’ve met this requirement, Google told WTFSEO that you should not only keep your conference lanyard, but wear it when meeting with clients (or internal teams if you’re an in-house SEO). It’s also a good idea to take a picture of it in case you need it. As a side note, Google also mentioned to us that you should post that lanyard picture on your G+ page (Google didn’t confirm the G+ piece, but our WTFSEO contributor suspects it’s because they’ll reward you for using their product). 2) Read at least 5 blog posts about SEO. Google told us that a certification candidate should read at least 5 blog posts a quarter about SEO. Just read the blog posts and borrow (don’t steal, Google doesn’t like that) some of the more insightful quotes and statistics and use them for your own purposes. Fact checking the blog post or seeking another opinion is not a requirement at this time. a) Share the post in your social media profiles. The easiest path, of course is to post it to G+. Of course your customers or co-workers won’t likely see it there, but Google will. b) Quote the posts in your presentations to clients, prospects, or internal teams. Post that presentation on Slideshare. Complete either of those two for proof and Google will find you per their algorithm update. Do these four things and successfully and you’re in the 85% percentile – which meets the minimum requirements for a certification. To get your certificate, all you have to do is do is complete the four tasks listed above – that’s it! As you read this, Google is out crawling the web (like right now) for evidence that you are indeed an SEO Expert worthy of certification. Therefore, if they deem you worthy, you will get the signed certificate sent to you. If you do not receive a certificate, that means that Google either does not deem you to be an expert in their top secret double probation algorithm, or they just haven’t found you yet. 1) Start your own blog. From what Google told us, it’s OK if your blog is not original or simply repeats insights that other blogs have already written about. Just make sure you use a slight twist like “in our experience” at the beginning of a paragraph. If no one actually reads your blog, that is irrelevant. Google just wants you to blog about SEO – like a lot to show that you’re a thought leader. 2) Speak at an industry conference. Even if you’ve only been an SEO for a few months, you’re probably still an expert who’s qualified to speak to an audience of eager and less experienced SEOs who also feel they belong up on stage. Google told us that they give additional consideration to speakers who practice poor hygiene habits and swear a lot during their presentation. The advanced certification is different that the regular one in that you have to apply for it. True to Google’s reclusive nature, they have not provided instructions or a link to apply for the Advanced Certification and you’re left to find it on your own – if you are worthy. “If you truly are worthy of advanced certification, then you will know exactly where you go to apply, otherwise you’re not really worthy” said Google in an exclusive WTFSEO Interview. It’s clear that they want the advanced certification to go to only those who are truly worthy. There you have it. With this olive branch to SEO’s, Google showed that they really do care about this particular group of marketers. Previous article What’s your latest, greatest SEO tactic?